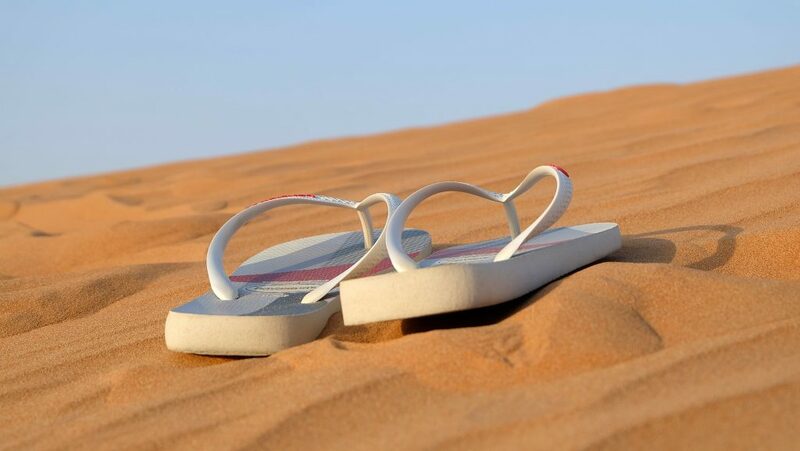 Below, you will find military discounts that can be found all throughout the leisure industry. Just click the links below to be taken to our complete listings of military discounts. Thanks! 9/11 Memorial Museum – The 9/11 Memorial Museum offers veterans discounted admission and 9/11 family members are free. Call the Reservations Department for other military discounts. 9/11 Tribute Center – Military members receive a $5 discount on admission to the 9/11 Tribute Center and a $5 discount on guided tours. Adler Planetarium (IL) – Active military personnel receives free general admission which can be applied to any admission pass. Please show proper identification at the box office to take advantage of this benefit. Adventure Aquarium (NJ) – $4 discount on one-day admission tickets for active or retired military, disabled veterans, and military reservists, spouses, and dependents when valid military personnel IDs and dependent IDs are presented. Adventure Landing – 10% off select purchases for active duty & retired military and their families with proper ID. Battleship New Jersey (NJ) – Free admission to active duty, BB62 vets, and WWII vets. Betsy Ross House (PA) – $1 off general admission with military ID. Bronx Zoo – The Bronx Zoo offers year-round discounts to any active duty or reserve members of the U.S. Military when they present a valid military ID at the admissions gate. Discount includes: FREE Total Experience Ticket or General Admission ticket and 50% off discount for up to three family members included on the same admissions transaction. Discounted tickets are available at the admissions booths only, not through our online ticket store. Cameron Park Zoo (TX) – Offers a Military Pass which gives members 10% off annual membership prices. Cheyenne Mountain Zoo (CO) – Military discount is offered to active duty military and their families or retired military and their families, with a valid ID. This military discount is $3 off general Zoo admission, and is offered any day of the year! A military discount for Zoo memberships is offered at $25 off any level of membership purchased. Please call 719-633-9925 x115 or email [email protected] to find out more about purchasing a Zoo membership with a military discount. Also, be sure you have your military ID available when purchasing your membership at the Zoo and for checking in. Chicago Art Institute (IL) – Free admission with military ID to here and other Chicago attractions. Cincinnati Zoo (OH) – $3 off general admission for adults and $2 off admission prices for children. Colonial Williamsburg (VA) – Available to active-duty and immediate family members: visit the MWR/ITT offices at your military installation to obtain an exclusive Military One Day Plus Pass, or receive 10% off on Multi-day Tickets at our walk-up ticket windows. Creation Museum – They proudly offer a special price to those who risk their lives to protect our freedom and keep us safe. Active duty members of the United States Armed Forces (Army, Air Force, Navy, Marine Corps, and Coast Guard) receive a free general admission ticket with a current military photo ID and the purchase of any regularly priced adult general admission. Discovery Science Center (CA) – Members of the military receive 10% off for up to 6 general admission tickets. Valid Military ID is required for discount. Cannot be combined with any other discount or offer. Georgia Aquarium – Georgia Aquarium salutes the men and women of the Armed Forces by offering substantial discounts on admission tickets by purchasing them in advance through participating military base ticket offices. To receive this discount, you must purchase your tickets at the ITT/MWR office at your local base. Houston Zoo (TX) – Admission to the Houston Zoo is free for active duty US military personnel and their families (limit 2 adults and 3 children per military family per day). A valid US Military ID must be shown. Offer not valid for ticketed special events. Also, present your Active US Military ID and receive 10% off any Houston Zoo Membership. Independence Seaport Museum (PA) – $10 admission for the military. Indianapolis Zoo (IN) – To honor our men and women in service, all current and former members of the military are admitted free on Memorial Day and the Sunday before Veterans Day (Please note: the Zoo is closed on Veterans Day). Plus, all non-military family members receive a 20 percent discount on these holidays. The rest of the year, the Zoo offers a 20 percent discount to all current and former members of the military, good for up to four tickets per visit. Please bring a form of military ID with you to receive the discounts. Intrepid Museum (NY)- The Intrepid Museum offers active duty and retired military free admission to the Intrepid and Intrepid/Space Shuttle Pavilion. Veterans get $7 off the All Access Pass. free play from $10 – $250 at Horseshoe Casino in Baltimore, MD. Eligible participants must have ID to prove they are active military, a military veteran, firefighters, law enforcement officers or paramedics. Check in at Total Rewards® to receive the daily Mystery Free Play Voucher, a voucher for discounted valet parking and identification tag to enjoy offers, rewards, and discounts. *20% discount does not apply to seafood menu items at Tark's at the ‘Shoe. Knott’s Berry Farm (CA) – Special Savings! Show your Military I.D. card and save on Knott’s Berry Farm Regular admission tickets! Show your ID to purchase Knott’s Berry Farm Regular admission tickets for only $37.99. (offer does not apply to Special Ticketed Events, i.e. Halloween Haunt). Las Vegas! Las Vegas! – looking to get entertained during your stay in Vegas, then these shows are just the ticket for you. Plus 50% military discount sweetens the deal. Visit Live! Rewards Club to Participate. 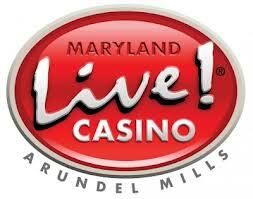 If you like Maryland Live! then you'll love Las Vegas. See our listing of deals and discounts for Viva Las Vegas as well. Medieval Times – Adults and children discounted tickets available for active and retired military members. MilitaryTeeTimes.com – Founded in 2014, with a mission to create the ultimate golf booking service for all members of the United States military, Military Tee Times is proud to provide an easy way for all members of the United States military to enjoy golf by offering exclusive savings (15%) on tee times at thousands of courses in the U.S. and worldwide. It’s simple to join Military Tee Times’ rapidly growing membership base. Simply complete the registration process and, once approved, you can begin booking golf at a discount immediately. Monterey Bay Aquarium – Discounted tickets can be purchased at various military installations around California and Nevada. Museum of Science and Industry (IL) – Active military personnel, Chicago firefighters, Chicago police officers and Illinois teachers (pre-K through 12th grade) can receive free Museum Entry for themselves by showing a current I.D. when purchasing tickets. Mystic Aquarium (CT) – Special admission rate per adult and children admission. As a thank you to active and retired United States military personnel, Mystic Aquarium offers a special admission rate when you show U.S. military I.D. Applicable to general admission only for military and their dependents. $10 discount on the purchase of a new membership also available. Cannot be combined with any other offer. Nashville Zoo (TN) – All military veterans and active military personnel along with their immediate family will receive $1 off admission. National Aquarium (MD) – So that they can offer a deeper discount, the National Aquarium provides discounted tickets to military bases in the region through our consignment ticket program. If you are in the service, they encourage you to check with the MWR at your base to see if discounted Aquarium tickets are available for you and your family. They occasionally offer a special military promotion, so sign up to receive Aquamail, the Aquarium’s e-newsletter, and be one of the first to know about new discounts and promotions. National Baseball Hall of Fame and Museum (NY) – Free admission for active duty and retired military personnel. National Constitution Center (PA) – Free admission for active military with ID. National Liberty Museum (PA) – Free admission with valid military ID. National Museum of American Jewish History (PA) – Free for active military with ID. New England Aquarium – Active duty U.S. military personnel and their dependents receive 50 percent off Aquarium and IMAX. This discount does not apply to non-dependant guests coming with military personnel. Both active duty military personnel and their dependents need to show their military ID or military dependent card (orange) to receive the discount for themselves and their children. If the military personnel are not present, the spouse may show his or her military dependent card (orange) and a photo ID and get the discount for themselves and their children. Newseum– 10% off adult rate for military with applicable ID. New York Aquarium – The Aquarium offers year-round discounts to any active duty or reserve members of the U.S. Military when they present a valid military ID at the admissions gate. Discount includes: FREE General Admission ticket and 50% off discount for up to three family members included on the same admissions transaction. Discounted tickets are available at the admissions booths only. San Antonio Zoo (TX) – Military personnel receives $2 off admission price. San Diego Zoo (CA) – Complimentary 1-Day Pass admission at the San Diego Zoo and San Diego Zoo Safari Park is offered to military personnel. Individual must show a valid, active military identification at our gates. 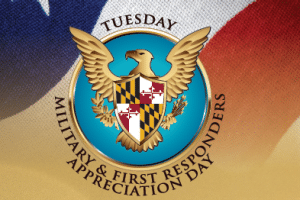 Complimentary admission is offered to the following: U.S. active-duty military, cadets of their respective academies (includes US cadets who do not have “Active” on their IDs), and reserves with active orders. Additionally, we work with local military bases to offer discount packages for families. Please contact your base ticket office for ID requirements to purchase these tickets. Complimentary admission is not extended to members of any foreign military services or retired military personnel. Shedd Aquarium – They offer a discount to active-duty military personnel and Chicago police officers and firefighters. With proper ID, you will receive discounted admission to the aquarium, Abbott Oceanarium and Wild Reef (equivalent to a Shedd Pass). South Carolina Aquarium – All military personnel are eligible for a discount on adult admission tickets with a valid military ID. South Florida Museum – located in Bradenton, wants to honor teachers and military. The combination natural and cultural history museum/planetarium/aquarium offer free admission to teachers and active duty U.S. military daily with valid identification. Standard daily adult admission. Seniors ages 65 and up pay $17 and children ages 4 – 12 pay $14. Children under age 4 are always admitted free. The museum displays fossils of Florida’s earliest marine and mammal inhabitants and archaeological items representing Paleoindian, archaic and pre-contact cultures of the Gulf coast of Florida. There are also galleries featuring local maritime history, medical history, and environmental history. The Bishop Planetarium hosts films, lectures, live music and digital art performances. The Parker Manatee Aquarium is home to Snooty, the oldest known manatee in the world. Not an educator or in the military? Another way to visit at a discount is to plan your trip on the first Saturday of most months after 4 p.m. On “Family Night” regular admission is half price for everyone and the museum is open extended hours. The next scheduled “Family Night” is on the calendar for March 7. South Florida Museum is located at 201 10th Street W., Bradenton, about one hour south of Tampa. For more information, call (941) 746-4131. Sugarbush Resort – (Warren, VT) Sugarbush Resort is expanding the discounts it currently offers to the U.S. Military to include U.S. Military Retirees. members can purchase All-Mountain day tickets for $49, and All-Mountain season passes for $499. Sugarbush also offers Active Duty Military members deployed in a combat zone and deployed Vermont Air National Guard members–as well as their spouses and dependents–free All-Mountain season passes. Additionally, for the last four years, the resort has partnered with the Red Sox Foundation and Massachusetts General Hospital Home Base Program to host post-9/11 service members, veterans and their families for a free day of skiing and riding. This year’s event occurred on Sunday, January 11th and hosted approximately 100 participants. The Red Sox Foundation and Massachusetts General Hospital Home Base Program helps to heal the “invisible wounds” of war – post-traumatic stress and traumatic brain injury – through clinical care, community education and research. For more information, visit www.homebaseprogram.org. Interested in skiing in Las Vegas. See post for more detail. Tampa’s Lowry Park Zoo (FL) – In support of our troops, the Zoo is proud to offer Active Duty military and veterans, and up to three people in their immediate family/direct dependents discounts on tickets at the Zoo’s ticket windows daily (with valid military ID). Tennessee Aquarium – A 10% Military Discount is available. Show military I.D. to get a discount on Aquarium admission. Also, applies to military retirees who show their I.D. cards. Available at Aquarium ticketing center only. Toledo Zoo (OH) – Active military personnel and retired veterans, show your military ID at the admission gate and receive free admission. Immediate family members are eligible for the group rate discount. For family members of military personnel who are currently serving, please show your dependent card at the admission gate to be eligible for the group rate. USS Midway Museum (CA) – Complimentary admission for active duty personnel and reservists with valid military ID. Wet n’ Wild Hawaii – Discounted prices and tickets when bought at local military bases on the island. For more information regarding where to purchase tickets, click HERE. Wildlife Conservation Society’s Bronx Zoo – Free admission ticket for active duty or reserve member of the military, also allows 50% discount on admission for up to 3 family members. Wonders of Wildlife, American National Fish, and Wildlife Museum– $1 military discount with military ID. For official site, click HERE. World of Coca Cola – Armed Forces Appreciation. All Active duty, Reserves and Retired members of the Armed Forces will receive complimentary admission to the World of Coca-Cola. You must present your valid Armed Forces ID card at our Ticketing Window to redeem this special offer for next available admission. Zoo Atlanta – Zoo Atlanta salutes our Armed Forces! Receive $4 off general admission for up to 6 people. Discounted ticket ONLY available at the Zoo’s front gate. Present valid military ID at Zoo Admissions to redeem your discount. Zoo Miami – Active military personnel receives 50% off and 25% off for their families (up to three people) for regular adult or child admission. Identification is required at time of purchase. Inactive military personnel receives 25% off and 25% off for their families (up to three people) for regular adult or child admission. Identification of past military service is required at time of purchase. Here is a list of all the amusement park military discounts. Adventure Island (FL) – One complimentary admission per year to any U.S. active duty military, activated or drilling reservist, or National Guardsman. See Waves of Honor. Busch Gardens (FL and VA) – One complimentary admission per year to any U.S. active duty military, activated or drilling reservist, or National Guardsman. See Waves of Honor. California’s Great America – Offer a discount off the regular Front Gate admission price to active members of the military. The discount offer is only available at the park Front Gate. The discount price may vary throughout the season. A valid military ID must be presented to receive this offer. Cedar Point (OH)- Active, retired and honorably discharged members of the Military receive $15 off a regular all-day admission ticket. Please present a valid Military ID at the Gate (Sorry, Military discount not available online). Accepted IDs include Active Duty ID, Retired Personnel ID, VA Medical System Picture ID, Copy of DD-214 discharge papers (please do not bring the original) along with a photo ID (driver’s license, etc) for confirmation. In addition to the discount, we hold special Military Appreciation events throughout the year. Check our events page for information. See Official Site. Disney World (FL) – Theme Park Tickets and Resort Military Discounts. Disneyland (CA) – Military Appreciation Program and Special Offers. Hershey Park (PA)- Discounted prices if you email them at [email protected] or visit a local MWR. See Details. Knott’s Berry Farm (CA) – Show your Military I.D. card and save on Knott’s Berry Farm Regular admission tickets & Knott’s Soak City water parks. Legoland California – Brick-or-Treat Party Nights, presented by Shutterfly, is back and better than ever at LEGOLAND California Resort! The Park is open for five spooky-kooky nights in October! Add Brick-or-Treat Party Nights admission to your online purchase during check out. Brick-or-Treat Party Nights Dates: October 3rd, 10th, 17th 24th and 30th. LEGOLAND Water Park is open weekends in October. Purchase your Military exclusive discount online at www.LEGOLAND.com/Military. Sea World (Orlando, San Diego, and San Antonio) – One complimentary admission per year to any U.S. active duty military, activated or drilling reservist, or National Guardsman. See Waves of Honor. Sesame Place (PA) – One complimentary admission per year to any U.S. active duty military, activated or drilling reservist, or National Guardsman. See Waves of Honor. Universal Orlando Resort (FL) – Military saving and special ticket offers. Universal Studios Hollywood (CA) – Special Military Rates. Water Country USA (VA)- One complimentary admission per year to any U.S. active duty military, activated or drilling reservist, or National Guardsman. See Waves of Honor. The “silver screen” offers reduced military prices. In order to take advantage of these movie theater military discounts, do remember to bring your ID. Please note that this is just a listing of the most popular, large theaters located across the United States. The reality is that most theaters in the U.S. will probably offer some sort of military discount with a valid ID present. Worse case scenario, they may just give you the matinee price. Here’s a listing of all the sport military discounts. Enjoy! New Jersey Nets Basketball Home Games– 50% off select basketball games when you book HERE. Birdies for the Brave/ PGA TOUR– Receive complimentary tickets to select PGA TOUR golf tournaments and tours for active duty, retirees, veterans, reserve and their dependents. Choose a tournament here. THE PLAYERS Championship PGA– THE PLAYERS Championship is pleased to announce free admission to the tournament all week or all active duty, retired and reserve military personnel and their dependents. Complimentary Military Tickets can be printed at home via the link below. Must present Ticket and Valid Military I.D. at the gate upon entrance. For online purchases, use the code MILITARY. See “Take Me Out to the Ball Game” for more information regarding MLB teams that offer military discounts. Click Here For More Leisure Military Discounts!